Today is my youngest son's birthday. 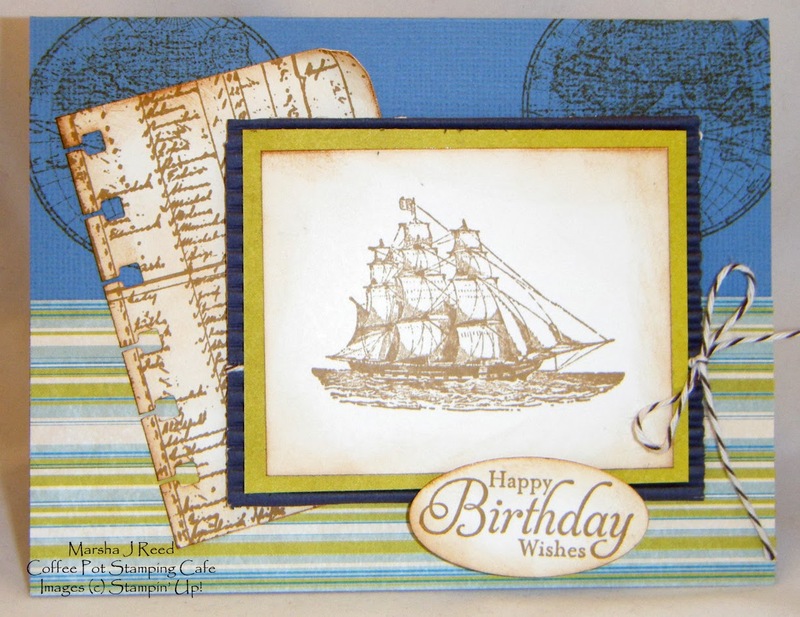 I hadn't used The Open Sea stamp set in quite a while and thought it would be perfect for a guy card. The design is one I saved during one of my browsing through card designs days. I don't remember who originally designed it but I do want to say thank you to whomever it was. I really like how it all came together. Now I'm headed over to have pizza with the family to celebrate his birthday. You know I must really love him a whole bunch to go out in this weather. It's only seven degrees at this time. By the time I get ready to come back home, it ought to be nice and frigid!